Why Look for Where to Unlock iPhone, When You Can Make It At Home? Having trouble accessing your iPhone simply because your passcode is no longer recognized by your iPhone? Or your Face ID or Touch ID is no longer verifiable? Your passcode can be altered by your friend or partner without your knowledge and then they forget the new password. Your child can also enter the wrong password several times and disable your iPhone. If any of these instances happen, you must find ways to unlock your iPhone in order to be able to use it again. The most searched question by many iPhone users on the internet is where can I get my iPhone unlocked? If you are one of them, worry not because you can actually do it at home. You do not have to spend lots of money and time looking for where to unlock iPhone X/8/8 Plus/7/7 Plus/6s/6s Plus/6/6 Plus/SE/5/5S/5c/4/4s yet you can do it on your own at home. This is because there are some ways to unlock your iPhone that are easy to use. Some people think that the iPhone cannot be cracked or unlocked once it is disabled. The truth of the matter is that it can be unlocked at home using some of the simplest and easiest ways possible. However, it is without a doubt that the iPhone is among the best mobile devices with the best security features. The first way we highly recommend is using iPhone password unlocker because it’s the easiest way. 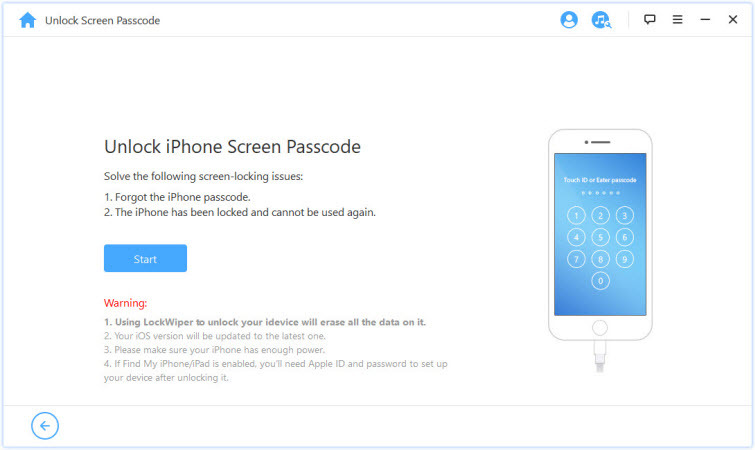 iMyFone LockWiper is one of the great tools that allows you to unlock your iPhone without a passcode. 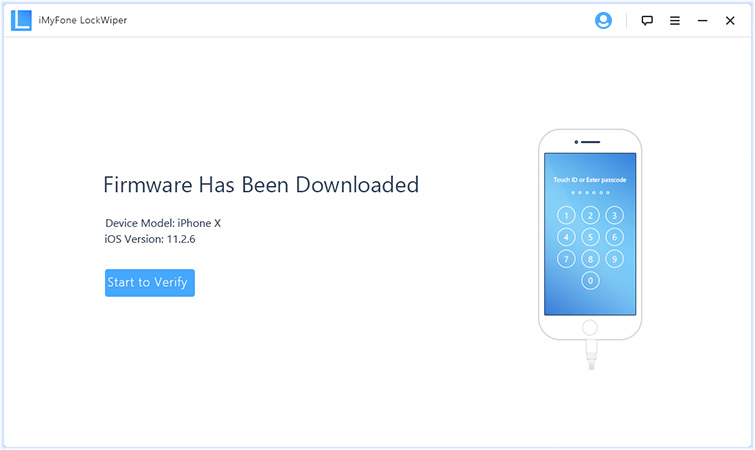 If you were wondering about where to get your iPhone unlocked, then with this tool you can do it all by yourself right at the comfort of your home. With this password unlocker tool, you can unlock a disabled iPhone, locked iPhone or an iPhone with a broken screen. It is a tool that lets you remove screen lock on your iPhone including 4 – 6-digit passcode, Face ID and even Touch ID. The good thing about this tool is that you do not have to sign in to iTunes or iCloud for you to be able to unlock the iPhone. It is compatible with iOS 11.3, iPhone X, 8, 8 plus, 6, 6S, 5, 5S just to mention but a few. It also updates your older iOS version to the latest version. Efficient in removing 4/6-digit passcodes, Touch ID, and Face ID. Download, install and open iMyFone LockWiper on your computer. Connect your iPhone or iPad to computer. Step 1: On iMyFone LockWiper interface, click “Start” button. Step 2: On the next page, choose your iPhone model from the top bar. 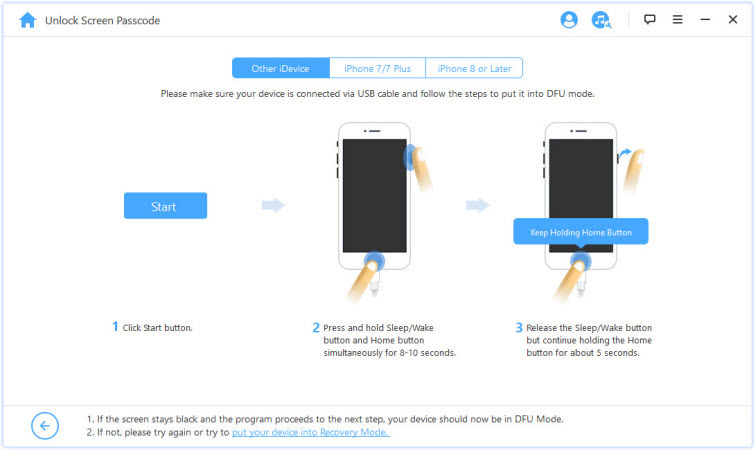 Then follow the instructions to put your device into DFU mode. Step 3: Check and correct your iPhone details if necessary. 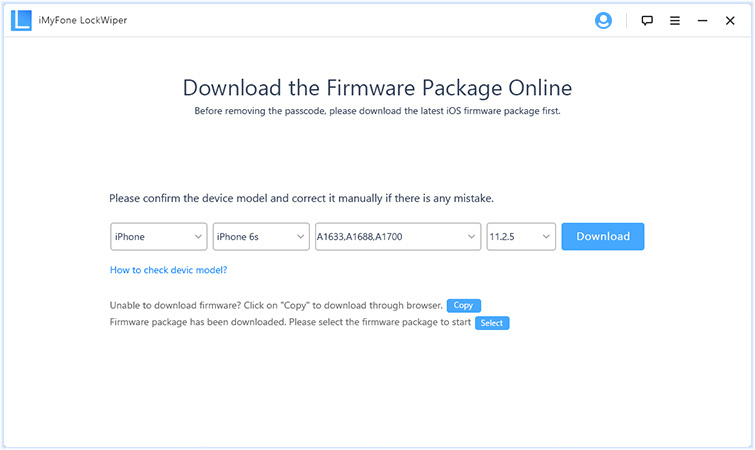 Click “Download” and it will start downloading the specific firmware for your device. Step 4: When it’s done, click “Start to Verify” and it will verify the firmware with your device. Step 5: Click on the “Start Unlock” button then. 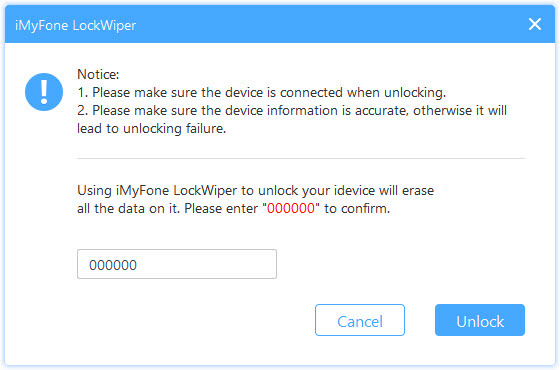 Step 6: Confirm that you want to unlock your device using the iMyFone LockWiper tool by entering “000000”and hitting the “Unlock” button. After a few minutes you will have unlocked your device and you can set it up as new. LockWiper has won many users’ hearts because it is easy to use and is quite efficient. Additionally, it is trusted by top tech media including SOFTPEDIA, download.hr, iOS HACKER, etc. because of its effectiveness and user-friendly interface. Have you ever synced your iPhone with iTunes? If not, you can use the recovery mode to unlock your iPhone. It is essential to understand that this method will erase all your data on the device. 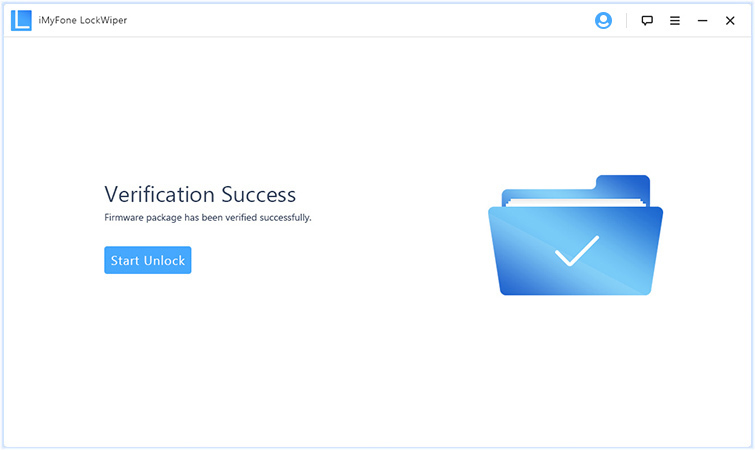 It might take some time for the process to complete but in the end, you will be able to unlock your iPhone. Step 1: Link your iPhone to a computer using a compatible USB cable. Then open iTunes on your computer. On iPhone X, iPhone 8 or iPhone 8 Plus: Quickly press and release the Volume Up button, quickly press and release the Volume Down button, hold the Side button until you see the recovery-mode screen. On iPhone 7 and 7 Plus: Long-press the Side button together with the Volume Down button simultaneously. Hold them down until the moment you will see the Recovery Mode appear on your screen. On your iPhone 6, 6 Plus and earlier: Long-press the Home and the Top (or Side) button simultaneously until the Recovery Mode appears on your screen. Step 4: Once the process is complete, you can set up your iPhone as a new device. You can see that you actually do not need to look for where to unlock iPhone. If you are still having questions like where can I go to unlock my iPhone, you have the answer. You can comfortably do it at home all by yourself. The methods above are easy and very effective.